interest. But why Dawn and I have gladly supported NCLAC for over 25 years requires a more comprehensive response. NCLAC’s direct impact can be measured by mentioning a few of its recent, widely varied activities: the Karkowska Sisters violin concert for the 6th graders’ performance by Old West singer/songwriter Bobby Bridger; regional arts exhibitions at the Crescent City Coffee House and The Dixie Center Lobby, and outreaches such as the Artmobile tours of Jackson and Union parishes. Adding to this rich variety was a talk and reading at Ruston High School by Louisiana’s 2012 Poet Laureate. These are but a few of the NCLAC’s recent activities, but to fully appreciate the breadth and depth of this organization’s involvement in the 5 parish area, you must visit their excellent website nclarts.org and click on such categories as Drama Warehouse, Summer Arts Camps, Arts Academy, Holiday Arts Tour, Peach Festival Art, School Show Partnerships, B & B Theatre, Community Outreach, and several others. Also not to be missed are the “fun” fundraisers such as Artoberfest, Pick your Picasso, Mardi Gras Silent Auction, and Keep the Arts Afloat. • Arts like NCLAC are a cornerstone of tourism. Arts travelers are ideal tourists; they stay longer and spend more than most other groups, according to a recent study. • Therefore, arts programs are good for local merchants. 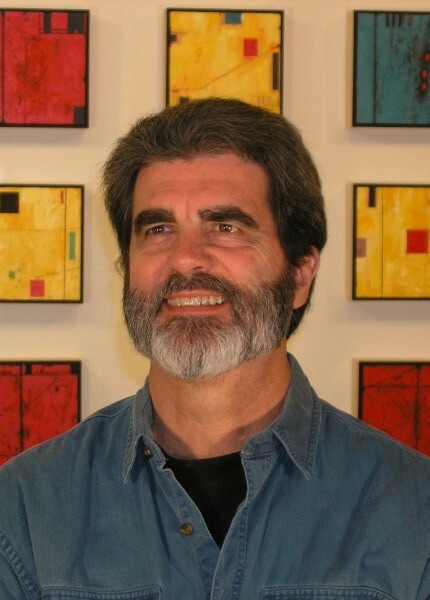 According to Arts advocate Randy Cohen, the typical arts attendee spends a minimum of $25 per person, beyond event costs. • Finally, in order for a community such as ours to truly prosper, it must prosper in ways broader than the usual definition; a richer prosperity comes about if the arts are understood to be an essential part of our humanity. The arts, of which NCLAC is a central component, are a vital part of what makes us human and help us realize our place in the world. For these reasons, and many more, please join me in supporting this wonderful organization. 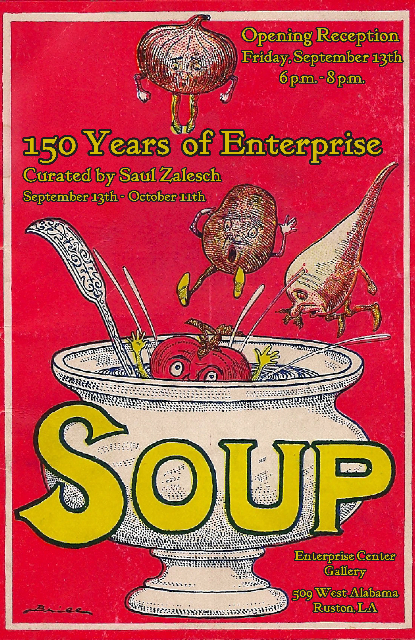 In other news, NCLAC's partner in art, Louisiana Tech Enterprise Center, is pleased to present 150 Years of Enterprise, curated by Saul Zalesch. This exhibition includes an arrangement of 200 vintage booklets, catalogs, magazines, and handouts that provide glimpses of American ingenuity and inventiveness between 1880 and 1950. The exhibition arranges these artifacts in 9 main sections, beginning with technologies that were seen as making the world a much smaller place, such as the telephone, automobile, radio, etc. Small, separate displays spotlight how Americans were encouraged to seek patents; how consumers regularly updated their wardrobes and decors using dyes; and how air conditioning transformed numerous industries and companies during the 1920s. Saul Zalesch, Louisiana Tech’s art historian, organized and curated this show. He acquired all of the artifacts that will be on display in the gallery throughout the course of his research into American popular arts and culture. Some of the items on display are among the 500 he has posted, with commentary, on his website www.ephemerastudies.org. open to the public. Gallery hours are 9am-5pm weekdays.